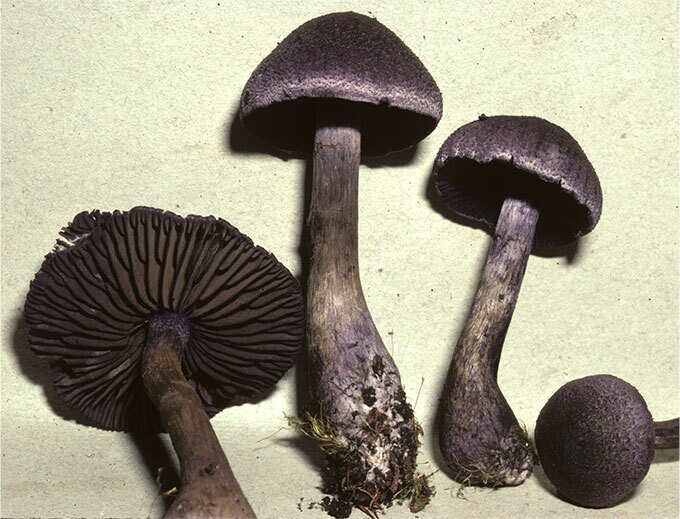 These species were first thought to be Cortinarius violaceus (Fr.) Gray when Halling & Mueller published their field guide to Talamanca mushrooms in 2005. However, molecular studies and morphology indicate that there are two species sympatric with another. 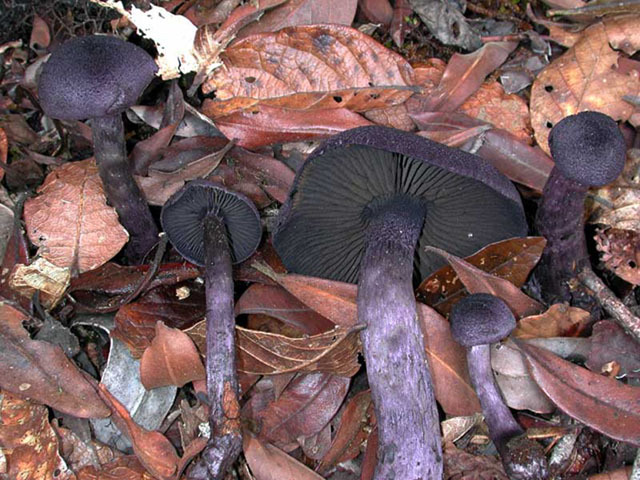 These deep violet species, C. neotropicus and C. palatinus, can be characterized by the violet pigments on all parts of the basidiomata. The pileus and stipe are dry, and the pileus is tomentose to squamulose. 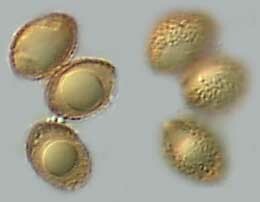 Basidiospores are verrucose with a smooth plage region above the apiculus in adaxial view. However, they can be distinguished because C. palatinus has smaller, heavily verrucose basidiospores and lacks caulocystidia; C. neotropicus has larger, finely verrucose spores and possesses caulocystidia. The two species appear to be fairly common in the Cordillera Talamanca growing under Quercus costaricensis, Q. copeyensis, Q. seemannii.